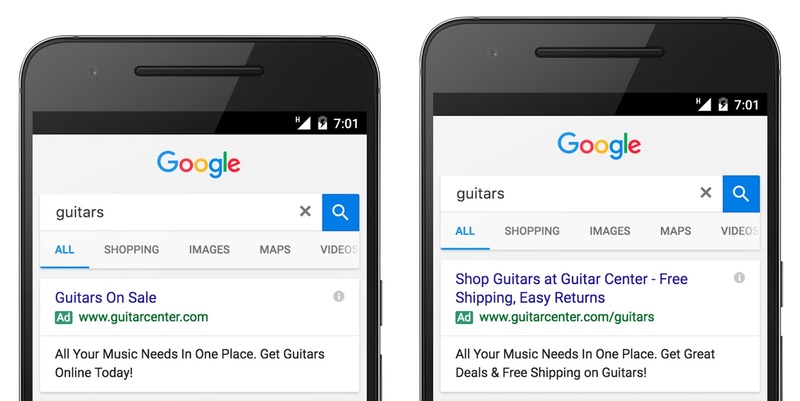 Google rolls out Expanded Texts Ads, device bidding and responsive display ads. On Tuesday Google announced the rollout of Expanded Text Ads, with immediate noticeable changes across all devices. The new-style longer ads with double headlines are already appearing alongside standard text ads. But this is just the first seismic shift of the week: as announced in May at the Google Performance Summit, the availability of device bidding and responsive display ads is also now rolling out, about to further transform the paid search landscape. Expanded Text Ads: why, when and what if? All of these latest changes reflect and are driven by the increasing importance of mobile. At the recent summit for AdWords and Google Analytics customers, Google gave us their first official update since 2012 on the total number of searches handled annually. The figure has risen from 1.2 trillion to over 2 trillion – and over half of these searches happen on mobile. With their new double headline, Expanded Text Ads (ETAs) offer advertisers up to 2 x 30 characters to best flag up their business, along with a description of up to 80 characters. According to Google, this improvement was introduced in order to give mobile users more hard information, and early test feedback suggests an average click-through boost of around 20 per cent – potentially good news for advertisers, who could see a consequential rise in ROI. At least for now, standard ads will continue to appear alongside ETAs, with October 26 set as the cut-off when single-header text ads will no longer be accepted from advertisers. The second important change is designed to give advertisers greater control over AdWords campaigns by enabling different base bid adjustments to be set for targeting ads on mobile, desktop and tablet devices. 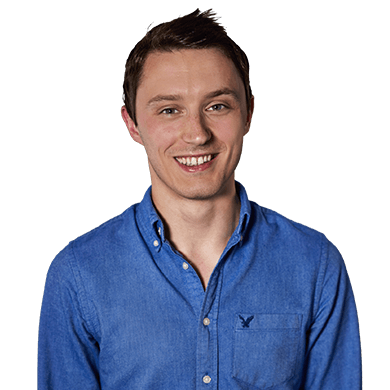 Previously, under the Enhanced Campaigns regime introduced in 2013, desktop and tablet bids have been rather awkwardly tethered, and advertisers have lacked the freedom to focus campaigns on mobile. Also in response to advertiser demand, a wider bid range has now been introduced, up to +900%. Although the device bidding rollout has begun, Google are stressing that ‘not all accounts will have the option enabled right away. The full rollout will occur over the next few months’. Finally, Google have also begun to roll out responsive display ads which will serve across the Google Display Network (GDN) on all devices – though, once again, most importantly on mobile. The ads will auto-generate, resizing and adjusting in style as they access publishers’ native ad inventory. All advertisers need to supply is dual 25-character and 90-character headlines, a description up to 90 characters, an image and a landing page URL. Google will do the rest – and will doubtless turn the screw in display ad competition with Facebook as a result.